Closing the 2018 schedule of Yoga in Dedaun on a chilled note, we invite you to join Lene for a touch of Scandinavian Christmas feels as we get the candles out and add the soundtrack of Norwegian jazz musician Bugge Wesseltoft’s album “It’s Snowing on My Piano” to a relaxing Yin Yoga routine. We will finish with a luxurious, systematic guided relaxation (Yoga Nidra) to nourish, rest and reset our mental and emotional states. Lower your shoulders and accept this invitation to ground yourself, find your centre and practice some self care before the hectic holiday season sets in. We share a nice cup of tea together after! Yin Yoga is about long held poses targeting deep connective tissue, cultivating awareness and enhancing the flow of vital energy to maintain and restore the natural balance of body, mind and spirit. It is an easily accessible form of yoga, which does not require flexibility, strength or balance and where the cultivation of presence, concentration and relaxation are at the heart of the practice. Yoga Nidra is said to be the most profound level of relaxation, enabling us to detach from the busy thinking mind and connect to a feeling of stillness and peace within. This gentle meditation technique is performed laying down and easily accessible for everyone. Wellbeing is addressed on multiple levels as we relax our senses, physical body, breath, conscious and subconscious mind. 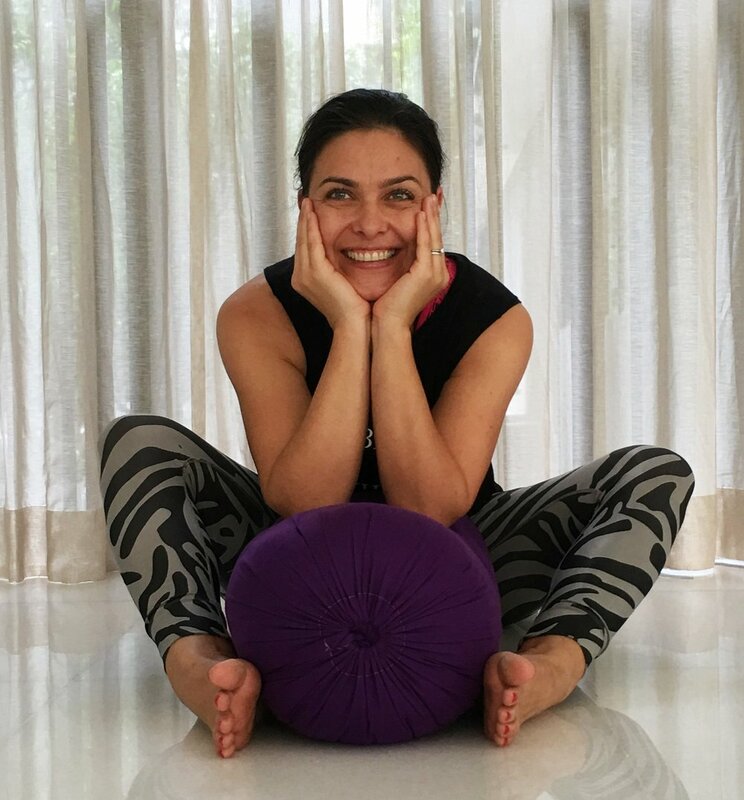 Lene loves to share how the practice of physical postures, breathing, meditation and relaxation re-conditions the body, mind and senses to experience a state of freedom and ease. Find out more and connect with her via her profile. Attendance is limited. Please make your booking in Yoga in Dedaun calendar to reserve your space. The fee to attend is the same as for the regular Sunday class : RM 40 (cash to to the instructor) or use your Yoga in Dedaun class pass. Please bring your own mat and an eye pillow if you have one. Other props are provided. Sign up with your email address to receive news from KL Yoga Collective.